Nearly a year ago, CD Project Red announced that it was working on a digital turn-based card game, to be called Gwent — yes, the very card game played in The Witcher 3: Wild Hunt and featured in Andrzej Sapkowski's The Witcher novels. The Witcher developer is entering a hotly contested arena, with heavyweight Hearthstone dominant since 2014 and others, like the recently released Elder Scrolls Legends, trying to emulate its success. CD Project is known for its fierce attention to detail, so we feel high hopes are warranted. With the closed beta finished, Gwent is now in the public beta phase and available on PlayStation 4, Xbox One, and PC. Neither Hearthstone nor Legends is available on consoles, so this is an ambitious platform scale to tackle. “Public Beta is the next step in the game’s development process, one that we’d be honored to continue alongside everyone who’s been with us thus far,” said Benjamin Lee, Development Director at CD Project Red. “It’s also a chance for many new gamers to play GWENT for the first time and we’re looking forward to making the game even better with their help,” he added. Gwent’s public beta means a fresh start for everyone. Card collections and player progress will reset to ensure everyone is on an equal footing. There will be a short technical transition period, with game servers offline for maintenance, until the start of the public beta on May 24. Status Updates can be accessed via Gwent’s Facebook and Twitter, and the CD Project Red Twitch channel will provide coverage of the public beta. Hand of Fate gets a sequel and a tabletop version! The crowdfunding is handled by the developer, Defiant Development of Brisbane, and Rule & Make is the Australian board game publisher. Ordeals is a deck-building game set in the Hand of Fate universe and you can play it competitively or co-op with 1-4 intrepid explorers. It’ll be ready November 2017. Ordeals also serves a special purpose: it is set between the original game and its upcoming sequel, thus bridging the story between the two video games. Wait wait wait …. sequel? Two video games? So far, we’ve only seen the original Hand of Fate. Wassup? Good news! Hand of Fate 2 is in development; the Steam page is already up, and it’s promised for this year, for Xbox One and PlayStation 4 as well. The story for the second game begins one hundred years after the conclusion of the first game. The Dealer has lost his power and position and has enlisted a new hero to carry out his revenge. The backdrop has an almost LoTR flavour about it: a militaristic empire, bent on expansion, is suppressing magic and the player will have to navigate this world of conflict and oppression to confront the new owner of the Game of Life and Death. Hand of Fate 2 sounds like a ‘bigger and even better’ version of the original, with new maps, combat styles, foes, and support companions who can influence the story in unpredictable ways. The first game was, rather simply, structured around a series of boss battles, but HoF2 introduces more complexity by offering separate adventures, each with their own story and deckbuilding objective. Please, please, PLEASE let a worldwide launch be imminent on this one. One lifelong addiction (Dragon Quest) combined with another (battle card games) and that’s a winning combination! Square Enix has announced that Dragon Quest Rivals will be released on iOS and Android platforms in Japan sometime this year. What’s that, you say? There better be a trailer coming? Behold! Dragon Quest Rivals is a new story told via turn-based card battles. Cards feature characters and monsters that appear in the series. Players can battle each other online using their decks, with the cards in it being their choice. Oh, and to continue the beta news — Square Enix will be holding a Dragon Quest Rivals closed beta test from June 9 to 19. Registration is open until June 4 at 23:59 JST. From those registered, 2,000 iOS users and 8,000 Android users will be chosen to participate. From what I can tell, it’s random… so good luck! 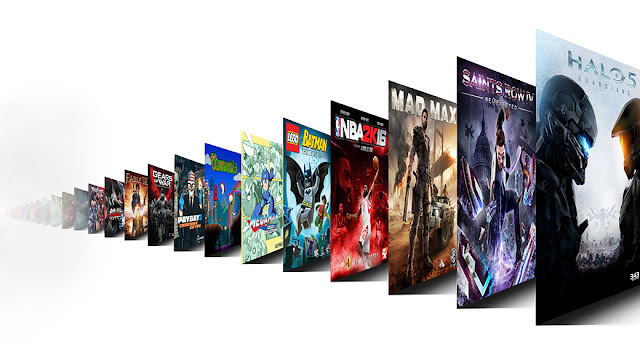 The Xbox Game Pass is Microsoft’s answer to PS Now: a subscription service that allows users to play games from past and presents consoles (namely Xbox, 360, and One) and scattered Xbox titles in this case. There are a few key differences between the two though. The one I’m most excited for — and I know there are many, many others who agree — is that games can be downloaded to the console rather than just streamed. That means a smoother all-round experience, meaning picky people (include me in that) won’t avoid it because they’ve heard a consistent stream of complaints about lagging. Today, Xbox announced that Game Pass is now available for all Xbox Live Gold Members. This means players with Gold can begin their 14-day free trial of the service now. On June 1, Xbox Game Pass will roll out to all users, including the 14-day trial. Subscriptions for the service are currently only available to purchase online, but a retail version is expected to hit shelves later this year. The cost is $9.99 USD per month. Comparatively, PS Now is $19.99 USD per month and only offers a seven-day trial.